The Renewable Heat Incentive (RHI), set up support renewable heat generation in the domestic sector, is now up and running and is offering tariff payments for supported technologies. 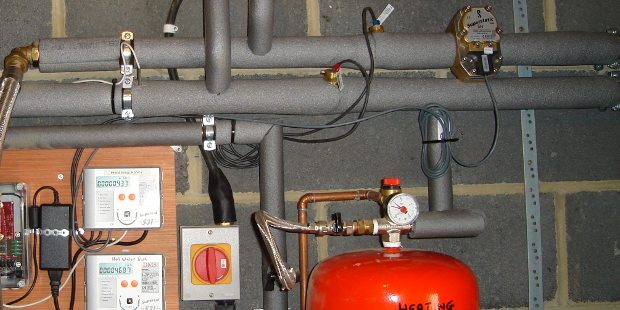 In order for systems to be RHI compliant, installations must be made meter-ready and in many cases applicants will require Heat Metering for payments to the system owner to be made; for instance, where a Heat Pump has been installed with a non-renewable back-up source of energy (e.g gas or oil), a meter must be used when claiming RHI payments. This new qualification is aimed at all staff involved in the selection, positioning or installation of heat meters in accordance with MCS and RHI Metering Guidance. It covers the knowledge and understanding of the requirements for metering renewable heat installations, including how to select, position, install and commission heat meters and components. This qualification has been designed and led by industry including DECC, Ofgem, Beama, Hetas, Summit Skills and MCS. Entry Requirements: No formal requirements but delegates should have a sound understanding of the legislative environment around renewable heating technologies. Course Type: Classroom delivery with practical demonstrations. Although there are no formal qualification requirements, delegates should be involved in the renewable heat industry and have a basic understanding of the legislation and requirements affecting the renewable heat sector including the RHI. Delegates should also have a sound knowledge and understanding of common renewable wet heating and hot water technologies and systems.